This game was created over the course of October for the Devtober Gamejam. 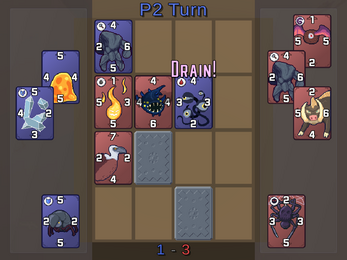 It's a strategic grid-based card game where you and your opponent take turns playing cards. Every card has a power value on each side, when you play one next to an opponent's card and you value is higher than theirs you flip it to neutral. 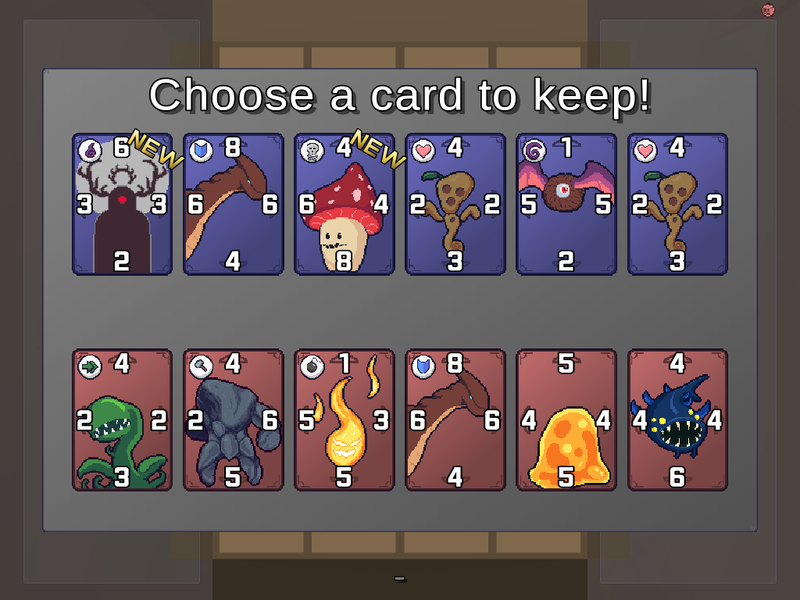 If you flip a neutral card, it changes to your color. 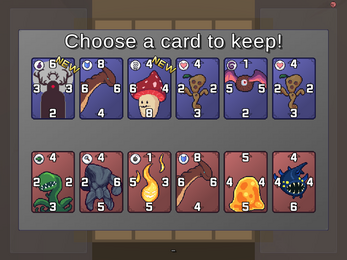 Which ever player has the most of their color cards on the board at the end wins. 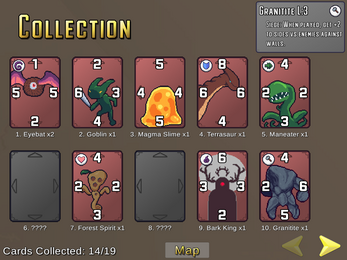 Winners get to claim opponents' cards for their own collection too! 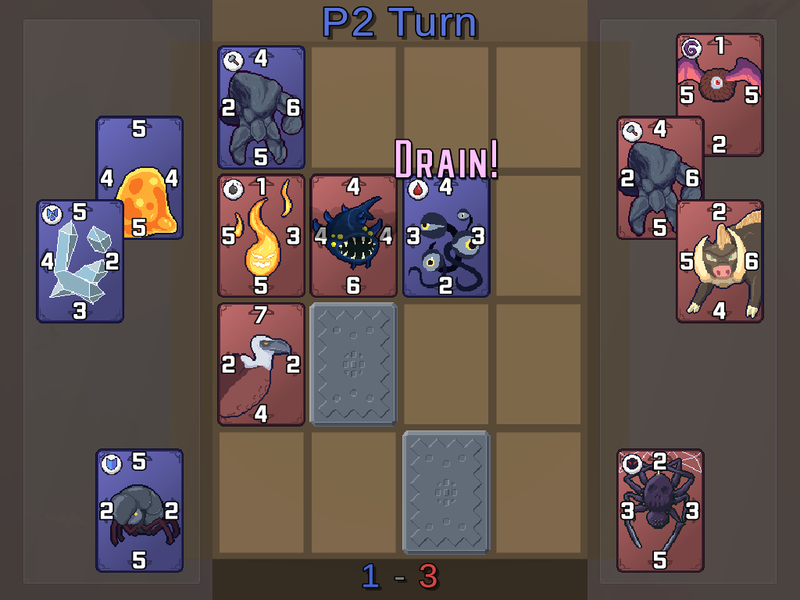 Some cards have special abilities, such as Drain where it steals power for nearby cards to raise its own, or Charm which automatically flips neutral cards next to it, regardless of power. Matches also have unique rules too, be sure to hover over them to find out what they change. 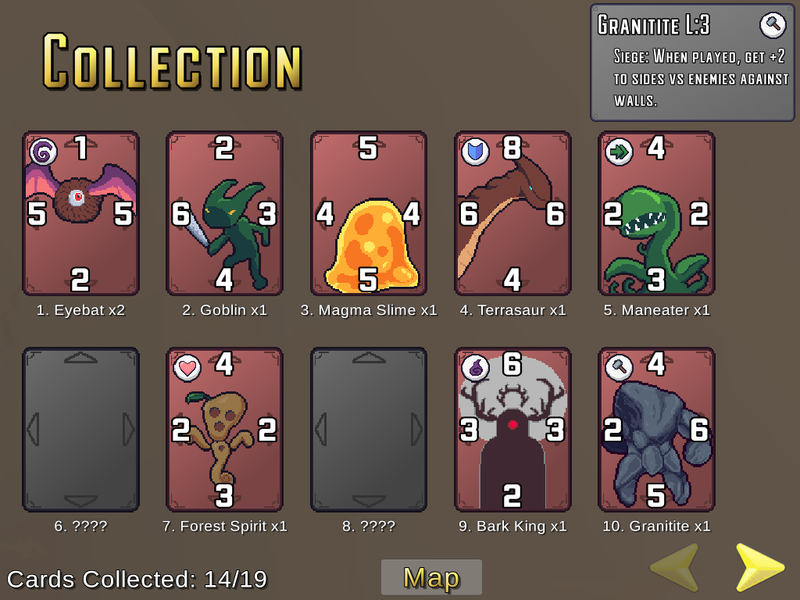 There are a total of 10 matches to play and 27 different monster cards to collect. On the map, click an available encounter to select it, then click 6 cards from your collection to take into battle. 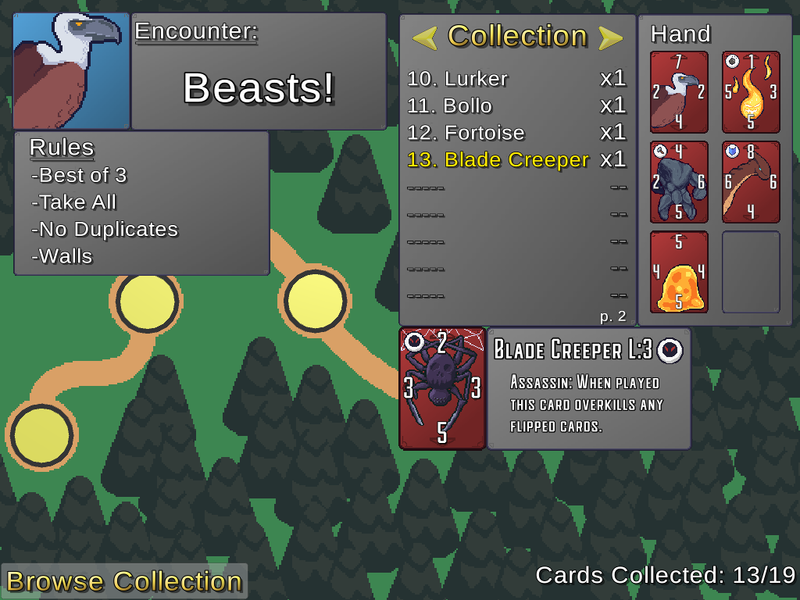 In battle, Left Click to select a card. Then left click on a tile to place it.